Toronto's Odonis Odonis are known for their industrial-influenced, noise-mongering ways, so we never expected to hear them cover country great Johnny Cash. That's exactly what has happened, however, since they've offered up a version of "Ring of Fire." The dystopian covers bears almost no resemble to the original, as the melodies are buried beneath a blitz of distortion and frantic percussion. The refrain is clearly audible, but without the signature horn licks, this sounds like an entirely different song. Odonis Odonis will release their album Hard Boiled Soft Boiled on April 15 through Buzz Records. "Ring of Fire" isn't on the LP. 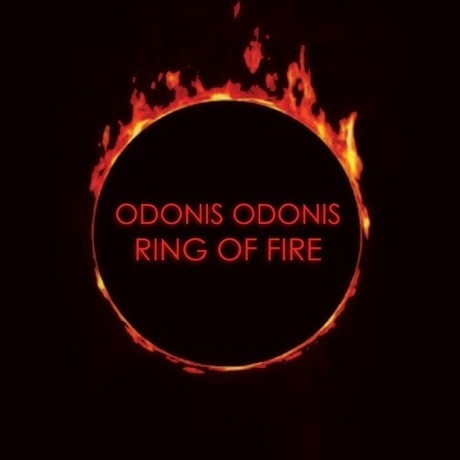 Read an interview with Odonis Odonis' Dean Tzenos here.